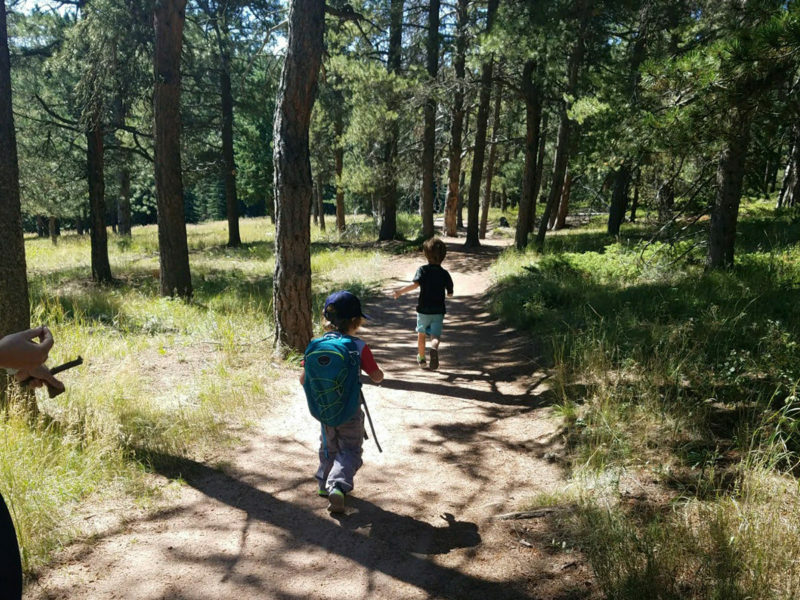 Enjoy a peaceful three-mile loop among old-growth lodgepole pine, ponderosas and Douglas fir. 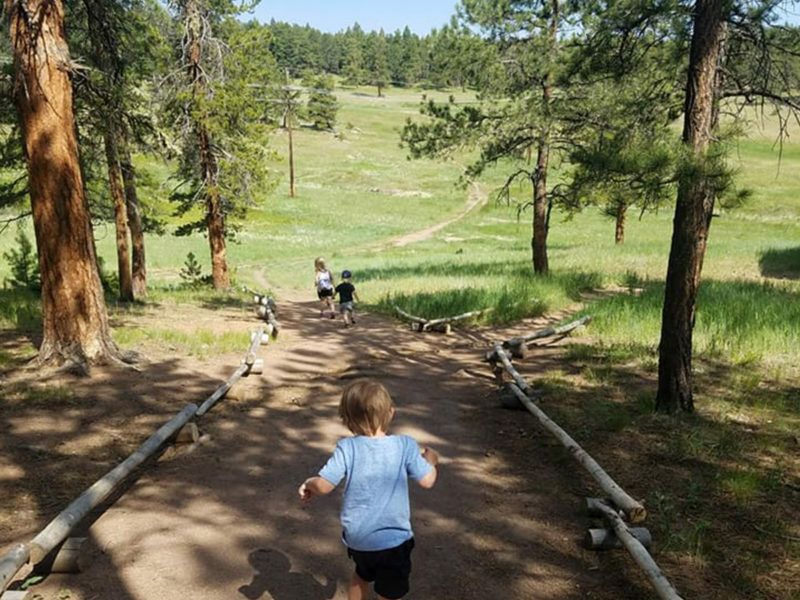 Flying J Ranch is a great place for picnicking in rustic timber shelters, as well as a favorite destination for snowshoeing. 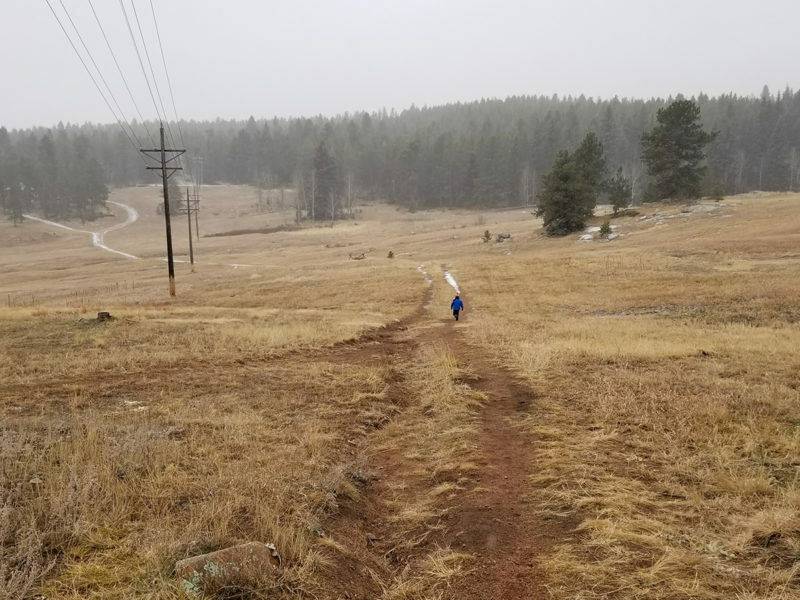 Flying J is a lovely trail all year around. 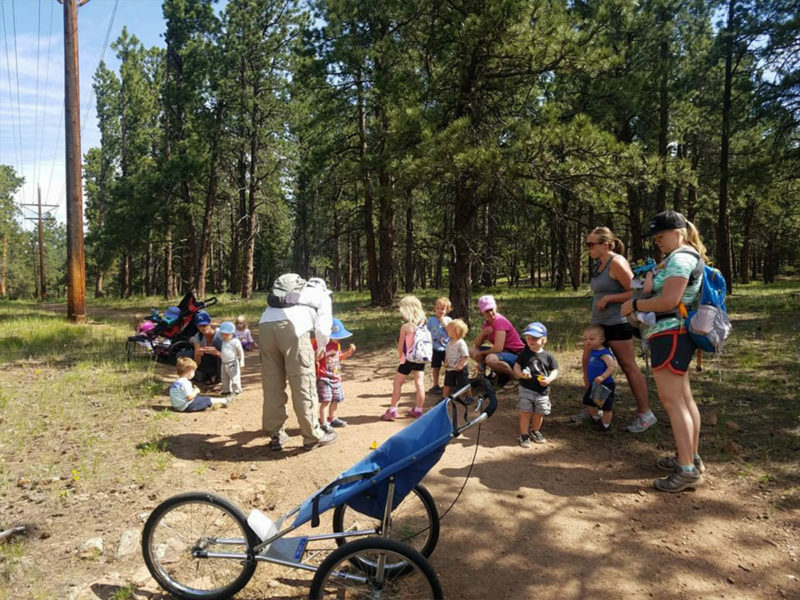 The Shadow Pine trail is a 3 mile loop with most of the trail in the shade. 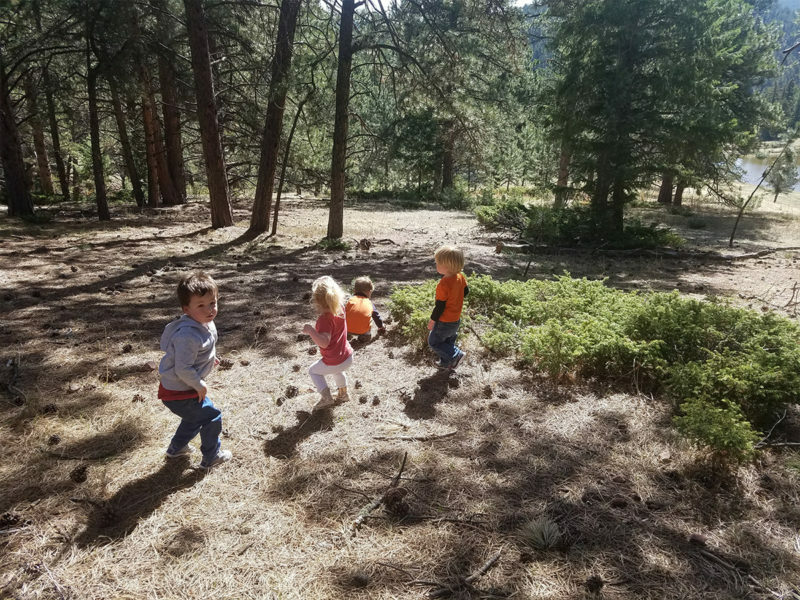 You can also use the service road to create a smaller one mile loop which is perfect for toddler hikers to complete on their own. The service road is exposed and would add a less shady section to your hike. 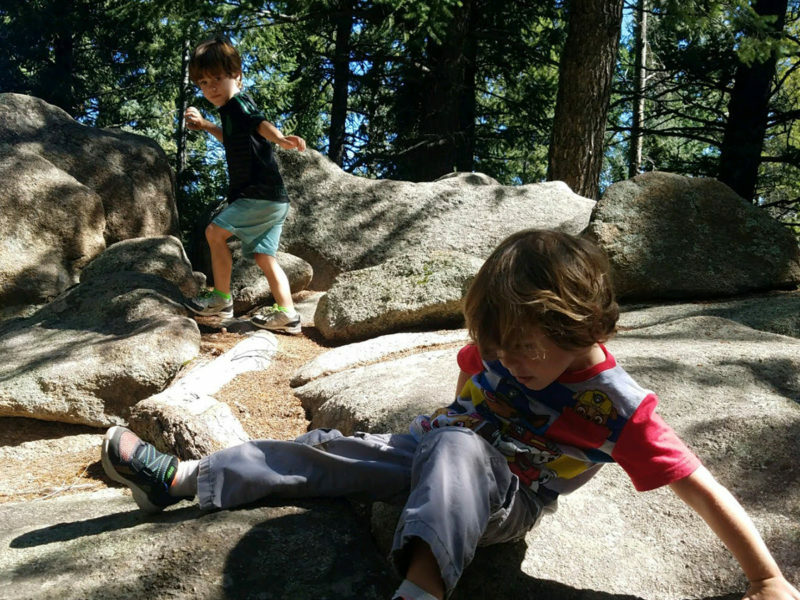 There are large boulders that are a little explorers favorite and a creek that intersects the trail at various points. During the summer there are a lot of wildflowers in this area. 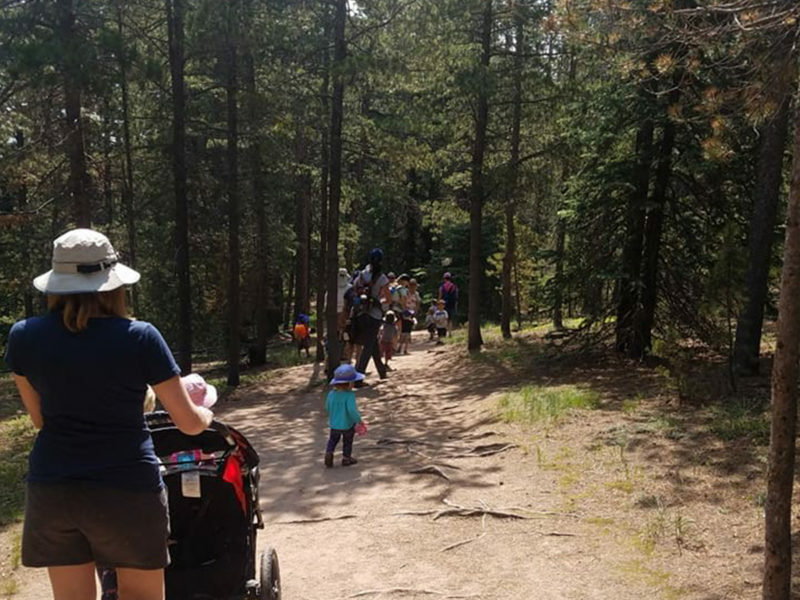 The 1 mile version of this trail is stroller friendly but the longer, 3 mile version gets more narrow, doable for a single all terrain stroller but challenging for a double stroller. Awesome spot for a family hike or to build up endurance for new hikers! There is a large parking lot at the trailhead with bathrooms available as well as a covered pavilion with picnic benches. From Hwy285 take County Rd 73 to the parking lot. You will pass a Flying J overflow parking lot, but keep going to the main parking lot.